Danielle Grizzle released her tagged spotted seatrout into the Salt River near the Gulf of Mexico on Florida’s west coast. 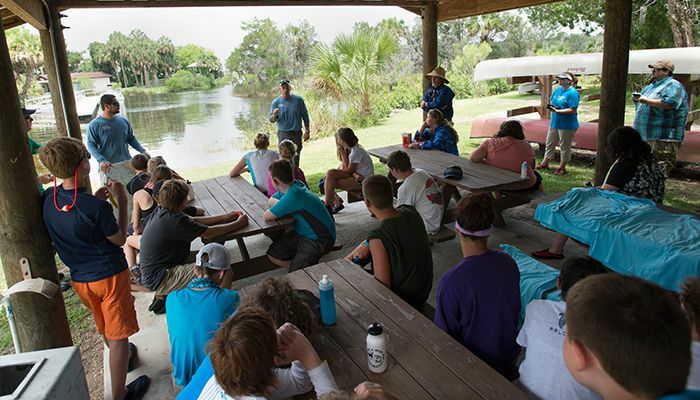 Middle school students gather to hear Duke Energy biologist Eric Latimer during Coastal Camp Citrus at the Marine Science Station. Duke Energy’s Matt Bouton helps this middle school student release his spotted seatrout into the Salt River near the Gulf of Mexico on Florida’s west coast. 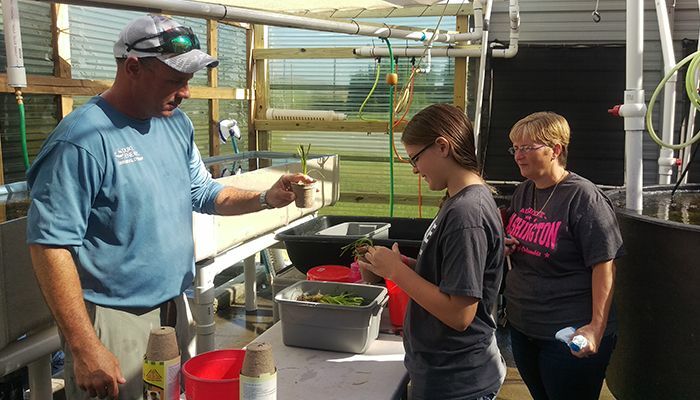 Danielle Grizzle (center) and Duke Energy biologist Eric Latimer plant eelgrass in peat pots at the Crystal River Mariculture Center while Danielle’s mother, Kathie Isaacson, observes. While most tween girls are interested in makeup, selfies and texting, 11-year-old Danielle Grizzle is already focusing on her future career. The soon-to-be seventh-grader at Seven Rivers Christian School in Citrus County, Fla., wants to be a marine biologist. 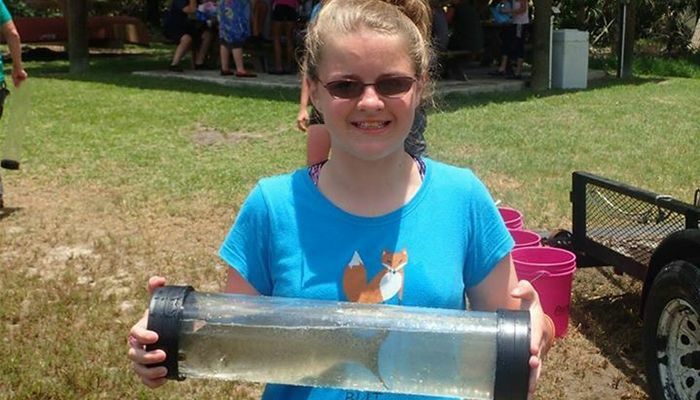 So her mom, Kathie Isaacson, sent her to a one-week summer camp at Citrus County schools’ Marine Science Station. She snorkeled in the Gulf of Mexico and got eye to eye with turtles, fish and other sea creatures. She swam across sea grass, sponge beds and limestone rock reefs. She went canoeing and boating and explored the Rainbow River – home to one of Florida’s largest natural springs. But perhaps the most interesting part of camp was releasing her adopted seatrout, Bubbles, into the wild. Danielle and about 30 other campers released tagged spotted seatrout into the Salt River near the Gulf of Mexico on Florida’s west coast. The fish were born and raised – along with redfish, pigfish and pinfish – at Duke Energy’s Crystal River Mariculture Center. The center’s goal is to improve the health of the waters and give anglers more fish to catch. Miles Saunders, media relations and marketing specialist at Visit Citrus, said fishing draws people to Citrus County, where one out of eight jobs are related to tourism. In the winter, people flock to Crystal River to see the manatees, and in the summer, people come to scallop, but fishing, he said, is a year-round attraction. Since 1991, the Mariculture Center has raised and released more than 3.6 million fish and crustaceans, becoming one of the most successful marine-stocking programs in Florida. Campers adopted their spotted seatrout – which ranged in size from 12 to 20 inches – named it and identified a location on a map where they thought their fish might get caught. In less than a week, an angler caught Danielle’s 17-inch seatrout about a quarter mile from where it was released. Indeed, spotted seatrout are good eatin’. So far only three of the 30-plus fish released during Danielle’s camp have been caught. Danielle said she’s never dined on spotted seatrout, and she’s not sure if she will try it. For now, she said she’ll just continue studying fish and other marine life and hopes to return to the Marine Science Station again next summer. Local anglers hope she succeeds. Captain Shawn Walker of Salt Water Outfitters leads tourists on about 250 trips a year. He said the spotted seatrout is one species they would like to see more of. How do biologists grow fish? Duke Energy’s Crystal River Mariculture Center has four environmentally controlled rooms where staff uses light duration and water temperature to influence fish behavior, prompting them to reproduce more frequently than fish in the wild. When the fish spawn, staff places the eggs in incubation tanks until they hatch. The young fish (called larvae) are then moved to an outdoor production pond, where they feed and grow. 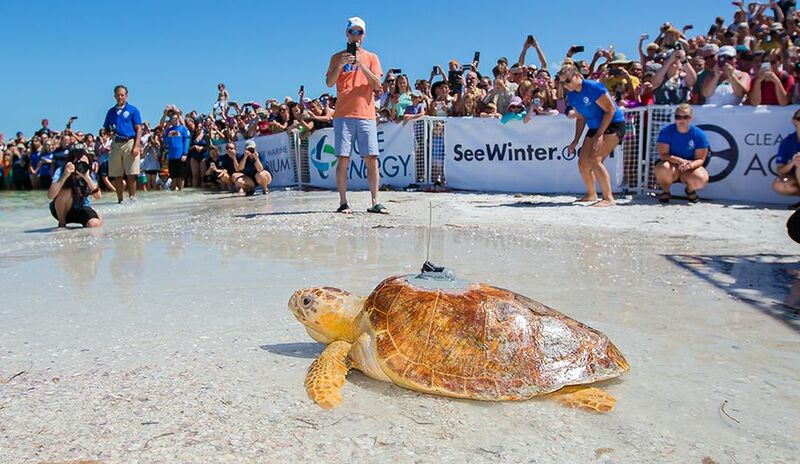 When the animals are large enough, their health is certified, and the Florida Fish and Wildlife Conservation Commission authorizes their release. The center is a two-story, 8,100 square-foot multi-species hatchery that cultivates and releases about 100,000 fish fingerlings, including redfish, pigfish, pinfish and spotted seatrout, into the Gulf of Mexico each year. 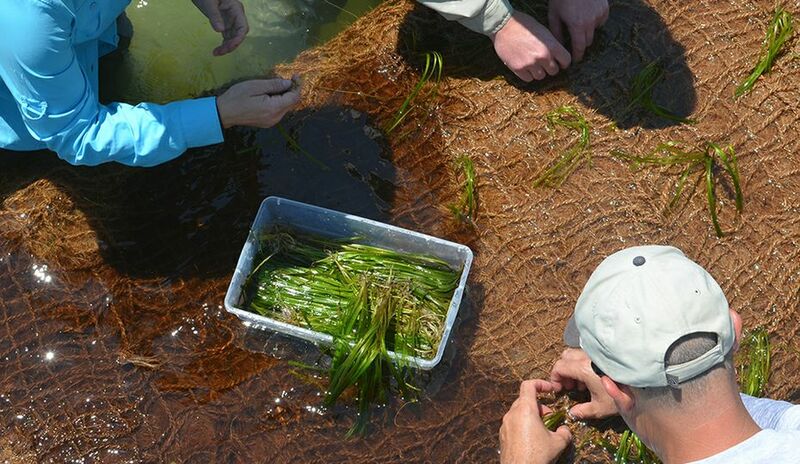 In 2014, center staff also started growing eelgrass to help restore local springs. 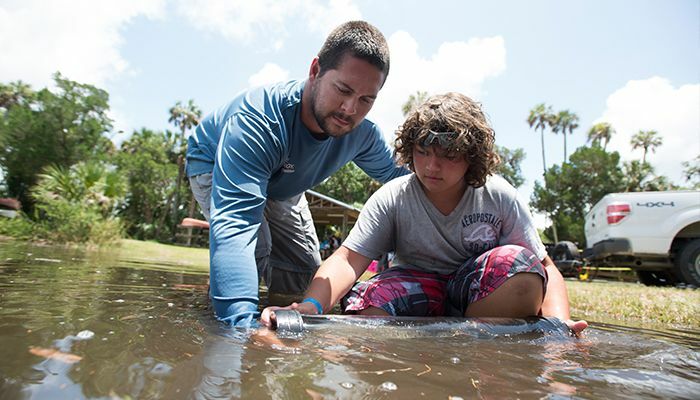 The center is a research partner with the Florida Fish and Wildlife Conservation Commission, Southwest Florida Water Management District and universities on projects that advance environmental stewardship throughout Florida. The center is located at the Crystal River Energy Complex home to four coal-fired units, the decommissioning Crystal River Nuclear Plant and new combined-cycle natural gas plant construction project.